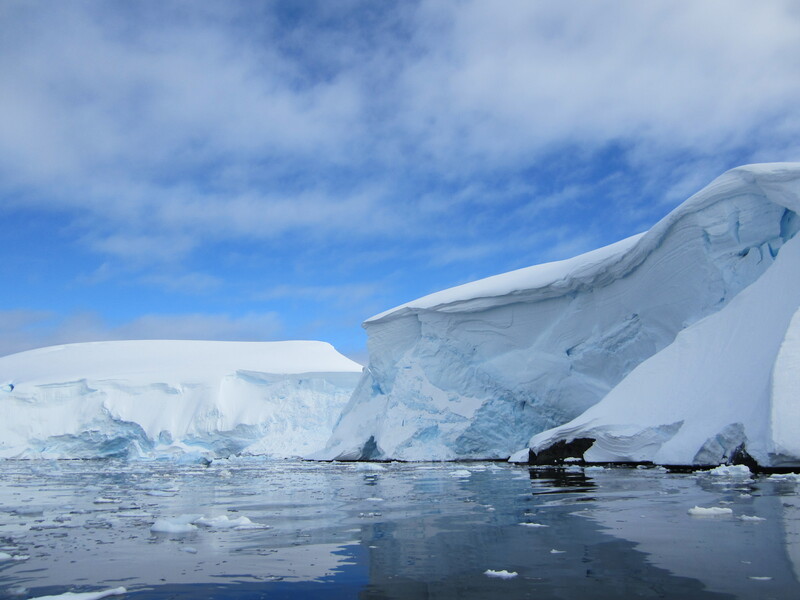 Today was yet another day of sunny and calm weather around the Antarctic peninsula. We visited both Enterprise Island and Charlotte’s Harbor. In the morning we took a Zodiac tour around Enterprise Island. It is amazing what it is like to experience the environment when there is no motors, no talking, no sounds…it is a unique place in the world with only the water flowing and ice creaking. 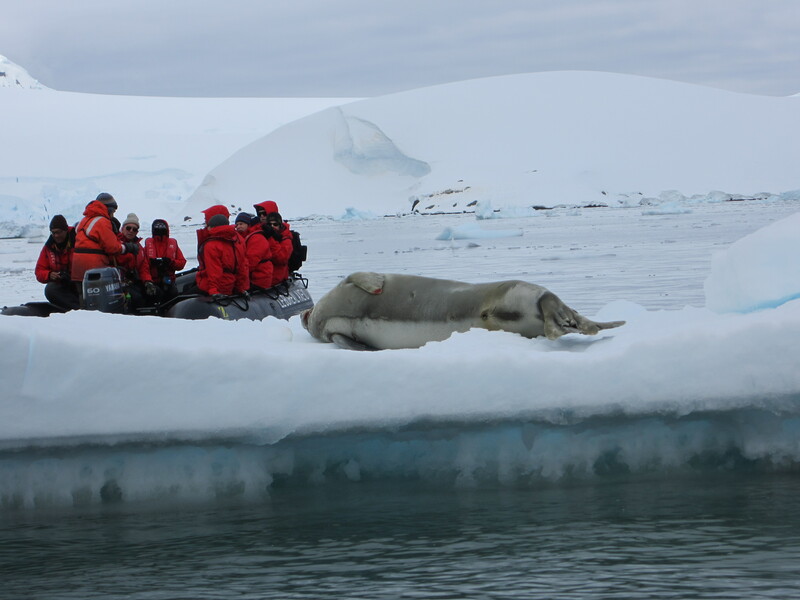 There is a wreck of an old whaling ship that we toured and ran into an elephant seal that was resting on a nearby ice flow. He had a number of injuries that were prominent. After lunch on our way to Cuverille Island, we encountered a trio of humpback whales – it appears to be a family with one small calf. Very docile and interested in swimming along with the ship for about half an hour. The highlight today was the adventures hike on the Island. A hard and long hike to the top of a scenic point. It was amazing weather and a scenic view after climbing approximately 800 feet to look over the bay and surrounding mountains. It was a hard workout since the snow was approximately 2 feet deep for most of the distance up. But the fun was sitting on our butts and sliding down then mountain to enjoy the way down. 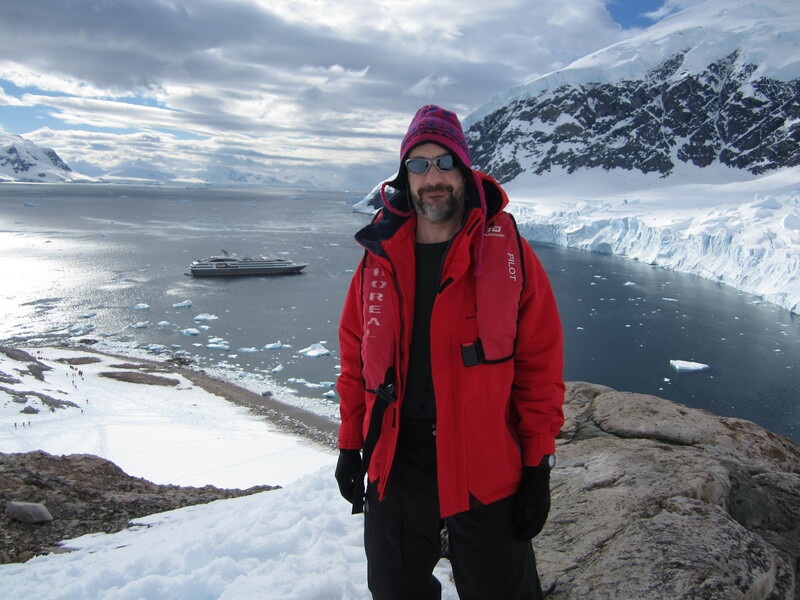 It was another amazing sunny day in Antarctica. One unique experience at the summit of the mountain hike was the fact you could hear an avalanche every 3-5 minutes from the surrounding mountains and snow packs. Interesting fact: the ozone hole over Antarctica creates the strong cold winds that creates and protects the ice every winter in the southern hemisphere. If the ozone hole goes away (good), that may stop Antarctica from freezing over every year. Is that something that is going to exacerbate global warming? This entry was posted in International, Travel, Uncategorized and tagged Antarctica, Hiking, Travel. Bookmark the permalink.